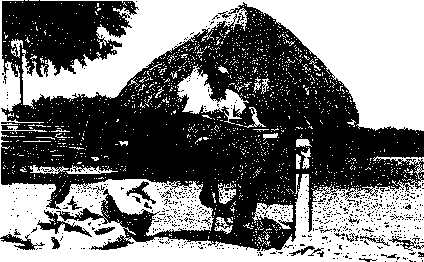 Cossul Hand and Power Maize Sheller Cossul it Co.
hour. The unit is of all-steel construction, weighs 94 grains. ;>nd has a built-in cleaning fan. Operated by hand, this shelter yields 100 to 150 kilograms per hour; with a i/> h.p. motor, it j puts out 250 to 300 kilograms per hour. 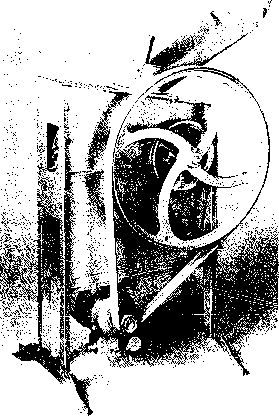 This j machine has a flywheel and can be attached to j any box or barrel. It measures 24 by 10 by 7 inches. This sheiler has a 2 h.p. motor and yields 750 to 1,125 kilograms pet hour. 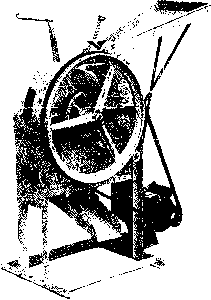 This sheiler has a winnowing fan which separates the corn kernels without breaking them. A 5 h.p, motor is require«! to run the machine. This company offers a 5 h.p. machine which shells up to 1,500 kilograms of corn per hour, and separates the dust and chaff from the grain. The Unitrac shells corn by a rolling action at a speed of 600 rpm. It has a shelling capacity of about 2 tons of grain per hour with a 10 h.p. motor. Laredo's Model MDL-900 is a powerful sheiler which produces 3,600 to 6,000 kilograms of shelled corn per hour, h can be operated by a 15 h.p. 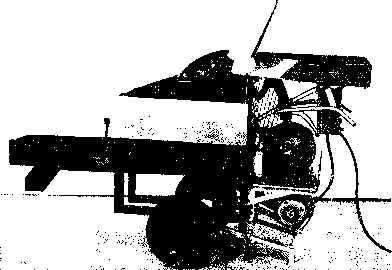 electric engine or an IS h.p. diesel/gasoline- engine. 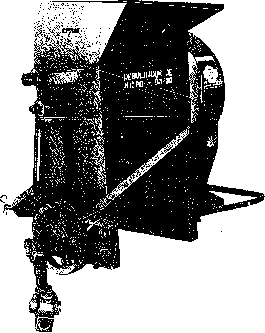 Model MDL-500 is attached to a tractor three-point hitch and powered either by the power take-off shaft or by a stationary engine. It will generate 3,000 to 3,600 kilograms per hour with a 5 to 7.5 h.p. electric motor or with an 8 to 10 h.p. gasoline/dieset engine. This sheiler has an output of 100 kilograms pe.i hour when driven by a 1 h.p. motor or crigtut'. Shelling gaps ate adjustable. Rajasthan State Agio Industries Corp. Ltd. This is an allsteel-construction shelter with a belt-driven winnowing tan. When driven by a h.j.-. motor, it has ail output of 300 kilograms per horn .
' lie Ransomes 4 A is manufactured for small fanners in developing countries. Husked ears of turn are shelled individually on both sides of a rotating, toot bed, shelling plate as the cobs arc* forced p.ist the plate by rotating, feeding drums. ■Spring-loaded stripping claws hold the ears against the shelling plate while shelling takes place, The spring tension and the size of the opening are adjustable. Below the shelling mechanism is a cleaning shoe where corn is cleaned and graded. Three screens are provided for the shelter: a 19-miIIimcter round-hole upper sieve, a 10-millitneter grading sieve, and a 5-miilimeter lower sieve to remove chaff. The cleaning shoe is oscillated by a crank pin. Ransomes Power Maize Shelter Ransomes, Sims ami Jcfîcrics, Ltd. This unit consists basically of a shelling cylinder fitted with renewable pegs. A powerful fan at the bagging point removes flakes, silks, and dust from the corn. 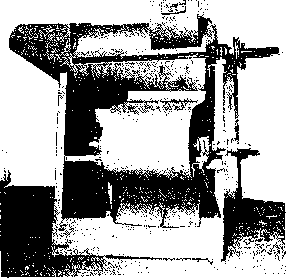 This sheller can strip 2,700 to 4,500 kilograms of kernels an hour from husked cobs. It requires 4 to 6 h.p. to maintain a speed of 6,000 rpm. Weight: 200 kilograms. The Cobmaster Shelter Ransomes. 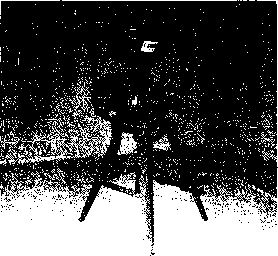 Sims and Jclferics, Ltd.
falls through the bottom of the machine. Maximum output with a i/a h.p. motor is 750 to 900 kilograms per hour (1,600 to 2,000 pounds). The above four shellers are manufactured by: Ransomes, Sims, & Jefferies, Ltd. Nac:on Works Ipswich IP3 9QG U.K.
For a production capacity of 30 sacks per hour, this corn sheller-thresher can be operated either as a stationary unit or attached to a tractor power take-off and hydraulic lift system. Shelled corn is obtained without crushing the kernels. What is the source of power for shellers?